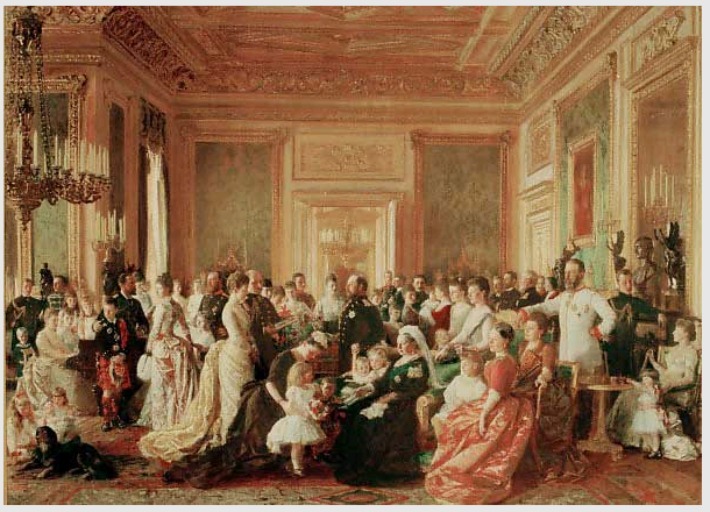 Welcome to the second part of our conversation about Queen Victoria. So much to talk about, we just couldn’t keep it at an hour! We start with a recap , but get down to a good chat pretty quickly starting about the time of the Crimean War. Victoria and Albert really worked together not only to run the country, but to raise their family. He took his role as the Prince Regent ( Neener! He did what her mother and John Conroy never could!) 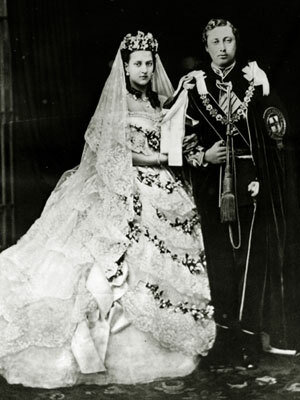 very seriously, and Victoria took her marriage vows equally as seriously. 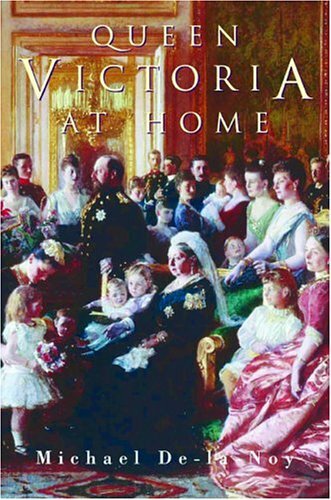 We had gone on before about Victoria continually having a strong male to support her, and Albert took that role until his death. They really had an almost modern marriage- working very much together in business and in family life raising all those nine children. Of all the little darlings Victoria bore, none would give them more trouble than our old friend, Bertie. Ahh, Bertie…nearly killed his father, he did. We go into the scandal (because you know we love scandal) in more detail in the podcast, but basically he had taken up with an actress and the gossip reached his parents ears. 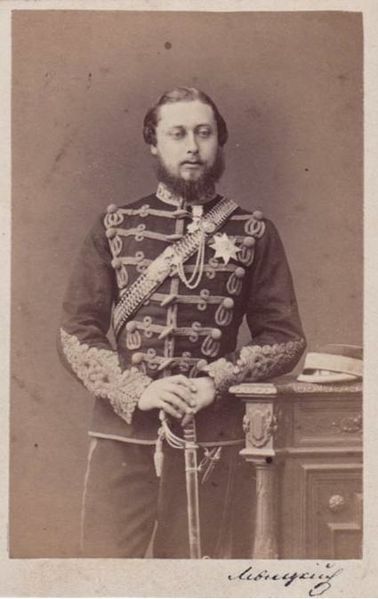 Albert (the Dad) was already run ragged by the affairs and wars of the country, the last thing he needed was worry about scandal in the family. Alberts death in 1861, at age 42, was listed as typhoid fever, but Victoria blamed the ‘ dreadful business” of Bertie’s affair. Victoria, up until now a refreshing ray of sunshine—ok, slight exaggeration, but more upbeat than we had ever given her credit before- Victoria’s life, and the life of her family was plunged into deep mourning. This is when all that dreadful black comes into play. 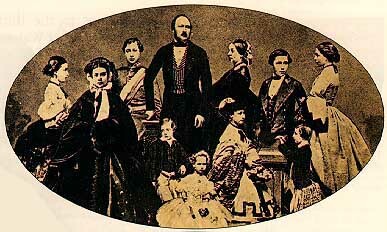 Victoria removed herself ,and her family, from public life for many years. She hung out, behind closed curtains, in her royal palaces. It was not a very cheery time for anyone close to the Queen. And again, we are reminded that she does best when she has a man- in some form- near her. 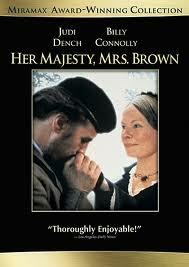 That man,at this point of her life, was a servant from her beloved Balmoral Castle in Scotland -John Brown. We talk about the portrayal of this phase of her life in the 1997 movie Her Majesty, Mrs Brown. John Brown was a very dedicated servant to the Queen. He was with her a great deal of time, and she trusted and respected him. She also slowly came out of her deep mourning during the time he was with her. Was it an improper relationship? Was there scandal? We speculate. Because it’s fun to speculate. 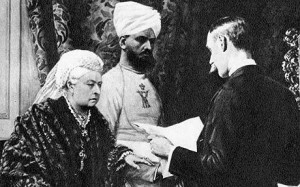 Later in her life she has a similar servant /relationship with Abdul Karim. We speculate about that during the podcast as well. Again…fun! While all this mourning is in progress, life is going on. Children are marrying, grandbabies are being born, and oh, yes, Great Britain is still a country in need of its Queen. Because of changes in British government ( increased power to the House of Commons, lessening in the House of Lords) the role of the monarchy was shifting. The political roles that the Queen held was waning, although she was still, you know, The Queen. We track several plummets and rises in her popularity in the podcast, but overall she was had more peaks than valleys. In 1866 she attended the first Opening of Parliament since her husband had died, and she got back to business. We discuss the various Prime Ministers that served during her reign, most notably, Benjamin Disraeli. Queen Victoria’s children were spread all over Europe. If you click the Special Features tab, you will find exactly how Victoria’s bloodline spread throughout Europe. Her bloodline also spread Hemophilia throughout Royal houses. 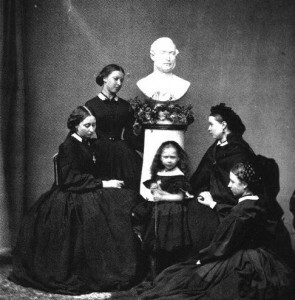 Her own children, Leopold had the disease and Alice and Beatrice were carriers. People were literally refusing to be placed next to certain others in this picture. You thought your wedding seating was complicated! Queen Victoria ruled long enough to celebrate both her Golden (50th) and Diamond (60th) Jubilees. BIG parties . Big. And of course we talk about them…hello? Parties? 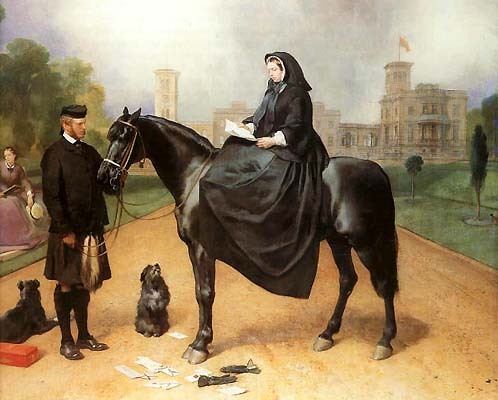 Four years following her Diamond Jubilee, at the age of 81, Queen Victoria ended her 63 year reign when she passed away at Osborne House on the Isle of Wight. She left very detailed instructions for her funeral, and was laid to rest next to Albert at Frogmore Mausoleum. We kept reading about the bell like quality to her voice—looked at a lot of disappointing YouTube videos, tried to listen to a BBC recording, and never did hear it. Bumming. 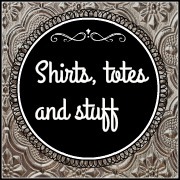 If anyone finds it, let us know, ok?